Hello! It's Hannah from The Classroom Key. 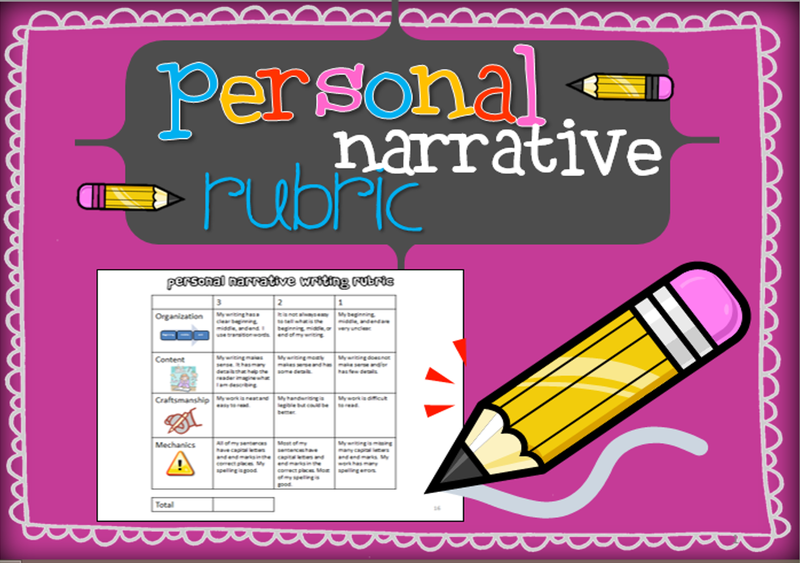 Today I've got a kid-friendly rubric for evaluating personal narrative writing. 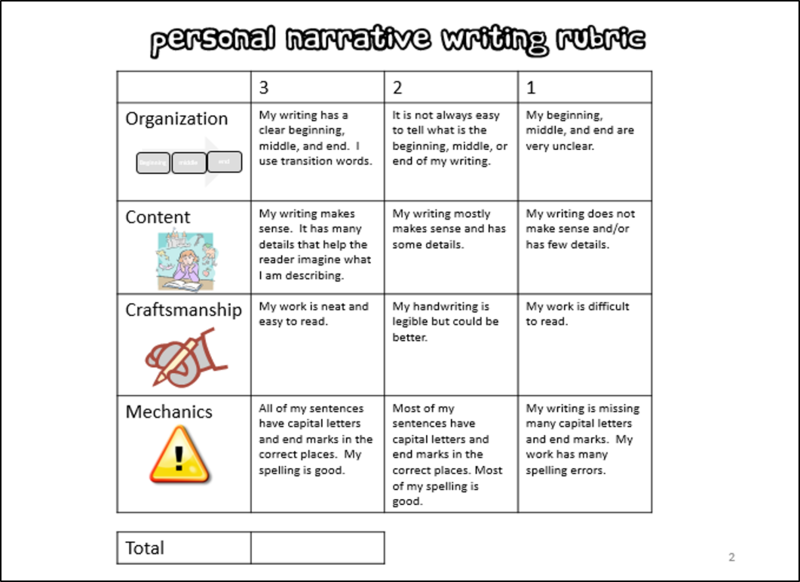 This rubric breaks personal narrative writing down into four components for your students to focus on. I've used this rubric a few different ways. I like to have kids critique writing samples using this rubric so they know what they're shooting for when they do their own writing. I also use it for students to evaluate their own work and for me to evaluate their work as well. Parents appreciate it when they see rubrics like this with their child's work because they can fully understand why their child did or didn't receive full points. When grading is subjective like it is with writing, it's nice to be able to give some explanation for the grade you have given.